Instagram has been adding features at a relentless pace the last couple of years, but it doesn’t appear to be stopping any time soon. Recent explorations into the app’s code suggest Instagram is toying with several new features. There’s no timeline on when most of them would arrive, but they’re still worth keeping an eye out for. As first reported by TechCrunch (via Ishan Agarwal) Instagram appears to be working on a portrait mode for the app. Decompiling the Android version’s code shows a file called “portrait_shutter_icon.png”. This button would replace the normal shutter button while shooting within the app’s portrait mode camera. At first glance, this appears to be a sort of ‘universal’ portait mode, independent of your device’s hardware. In theory, it should be able to create portraits using AI, even if your phone doesn’t have the typical hardware necessary. You might think a software-only portrait mode would lead to sucky images, but that’s not necessarily true. The Pixel 2, for instance, mostly uses AI for its single-camera portrait mode. Although the rear camera sensor has some mild depth-sensing capabilities, the front camera does not; the latter uses AI exclusively for portrait photos. Indeed, we’ve already seen the Pixel 2’s camera tech ported to other phones without any specialized hardware. All that being said, a more pedestrian explanation for the appearance of the portait button would simply be that Instagram is adding the ability to leverage your phone’s built-in portrait mode on compatible devices. But I consider that option less likely, as it might be more work to ensure compatibility across the myriad of Android devices than to use a one-size-fits-all AI solution. A month ago, WABetaInfo spotted a Cinemagraph feature in Instagram’s camera by using a method to unlock hidden features in the app, and shared it with our social media guru Matt Navarra. There wasn’t a demo of the feature at work, and all we got was the one screenshot, so who knows if this will ever see the light of day. For those not familiar, Cinemagraphs are something in between a still photo and an animation – only a small portion of the image is in motion. It looks cool and is generally used to highlight the most interesting part of a scene. WABetaInfo today reported Instagram is testing the ability to ‘star’ a chat, which marks it as a favorite and/or makes it easier to find. The star is located on the upper right hand corner of a conversation. It also appears you’ll be able to star specific messages within a conversation for easy reference later. In related news, Instagram will add search filters to direct messages. Right now, the app seems to have three filters: Inbox, Unread, and Starred. With all our information stored in the cloud nowadays, sometimes it’s nice to have a hold of your own data. Instagram appears to be considering letting users download all their data from its servers. WhatsApp – which like Instagram, is owned by Facebook – is due to implement the feature as well. 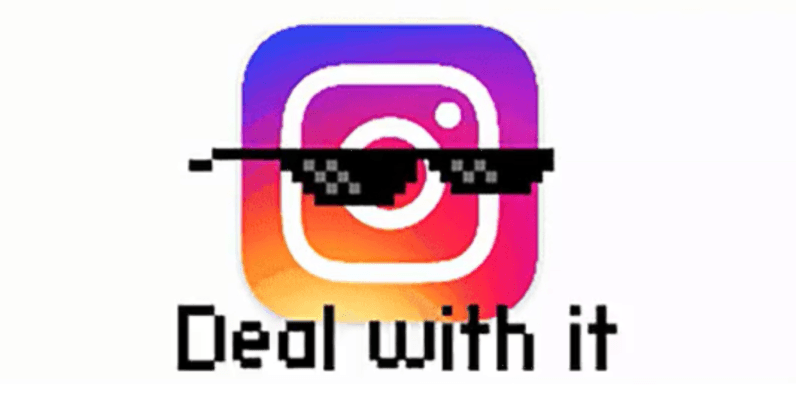 The feature isn’t just good will on Instagram and WhatsApp’s part – it’s a response to new regulation from the European Union called General Data Protection Regulation. The new laws become enforceable by May 25th of this year, so expect the feature to show up by then. It stands to reason that Instagram is constantly testing new features, so there’s no guarantee when all of these will show up publicly, if ever. Still, we’ve seen a significant portion of test features make their way to final versions of the app – we’ll be sure to report back if they ever see the light of day.